We have a small dataset of strong results for patients who have frozen eggs up to the age of 41 and later used them to become pregnant, but any recommendations relating to freezing will always be based on a comprehensive evaluation of each patient’s medical circumstances as well as their age. 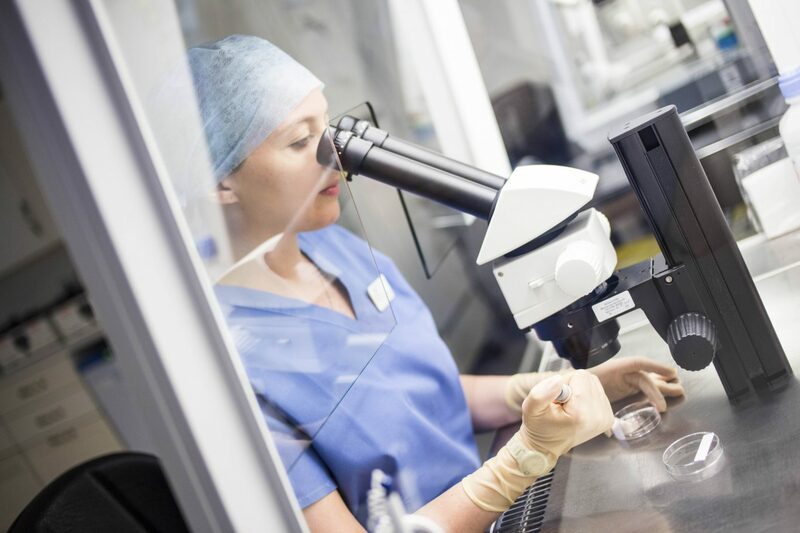 Clients may also want to look at fertility preservation to allow the treatment of a medical condition which may affect future fertility, or to allow the storage of eggs, sperm or embryos prior to cancer treatment. Here at Boston Place, we offer fertility preservation. Women go through the IVF stimulation and egg collection processes, but instead of being mixed with sperm the unfertilised eggs are frozen. 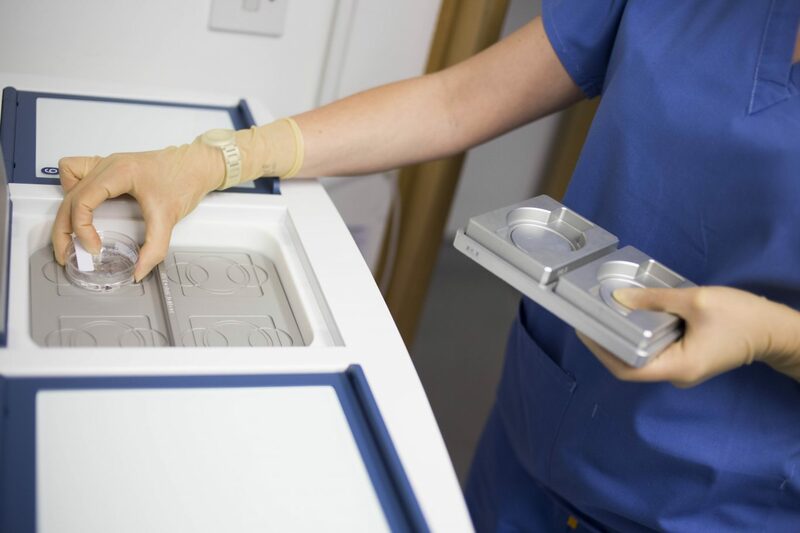 ‘Vitrification’ technology is relatively new but the results are encouraging, such that units around the world are achieving similar pregnancy rates using frozen (vitrified) mature eggs compared with fresh eggs. The number of babies born following these procedures is increasing all the time. We are proud to be among the few clinics in the UK with several livebirths from this technique. Declining fertility is due to the age of the eggs, and therefore fertility preservation is most effective if a woman is young when her eggs are frozen. Hence, it is believed that vitrified eggs are ‘suspended in time’ at the age they are frozen. This way women who freeze their eggs may effectively reduce the age-related (or medical condition related) drop in their fertility. When faced with difficulty conceiving at a later age, they may opt to use their frozen eggs to give them the same chance of a live birth that they had at the point of egg freezing. However, it can also be suitable for women in their mid-30s or older who do not want to have a family just yet. If you feel that fertility preservation might be for you, you can learn more about what is involved below. These simple statistics are based on a single treatment cycle producing enough eggs to provide a reasonable chance of success. If you respond well to stimulation treatment so that we collect 10 eggs, we would expect that 8 of these, on average, will be mature and suitable for freezing. We would expect all of them would survive the freezing and thawing processes successfully. When thawed, the eggs are injected with an individual sperm (ICSI). We estimate that about 6 of these might fertilise and go on and divide. On average, depending upon the age of the egg at freezing, each of those viable embryos has a 15-30% chance of leading to a live birth. Therefore, the original group of 10 eggs should lead to a 60-80% chance (cumulative) of a live birth. Of course there will be wide variation around these figures, but they do show that treatment can be successful. Younger women could expect to produce more than 10 eggs, each of which would have a higher chance of success than those produced by older women. Hence, the younger you are at the time of egg freezing, the better the results. Your age at the time of thawing and replacing embryos has very little impact on the outcome. Freezing sperm is the most effective way of preserving fertility. This can be done on more than one occasion if time permits. Boston Place Clinic holds close links with gynaecologists used to treating women’s cancers surgically. Standard surgical treatments may lead to loss of fertility but in some carefully selected cases a more conservative approach may be possible preserving future fertility.